The Victoria missions team with Joe Haynes. I love jump photos. 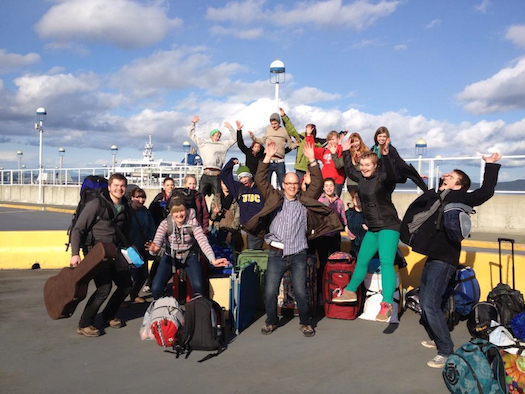 Twenty people climbed aboard a ferry and spent five days last week serving and praying and listening and leading and laughing and worshiping together in the neighbourhood of James Bay in Victoria, BC. We served alongside the amazing people of Beacon Communities, a church plant growing in the heart of the James Bay community. James Bay is known as a church planters' graveyard; there are literally no evangelical churches in the community of around 15,000 people. Pastor Joe and Heather Haynes don't believe in the graveyard mentality; we worship a God who raises the dead. It was a fantastic week of serving the neighbourhood in a variety of ways, from picking up garbage to handing out flyers for Beacon Communities to cleaning a community centre to spending quality time at a retirement home. Prayer changes history. We took public transit for much of the trip, so much of our time was spent on the bus. Our first night coming back from serving, we crammed our entire team into the back section of our bus, to the dismay of the young gentleman sitting alone in the corner. Horror and dismay washed over his face as laughing teens surrounded him, forcing him to break out his ear buds and avoid any eye contact. When we sat down to debrief the day, I asked about the guy on the bus. What would it have looked like to be good news for him? Share the gospel with him, right there on the bus? Avoid him altogether? Sit in total silence (a near-impossible task for 16 teenagers)? Then I asked the question: who prayed for him? The question set the tone for the rest of the trip. Prayer walks, spontaneous prayers for members of our team, surrounding the Beacon Communities team and praying for them--prayer became our knee-jerk reaction, and it began to transform lives as students saw God respond in action. Continuous and proactive prayer changes hearts and lives; it is a humble invitation for God to act in our world. Teens want to go deeper; any shallowness is connected to fear. I had so many great conversations with the youth about Jesus, church, theology, Scripture, and how to live out one's faith. This latter subject came up most often. 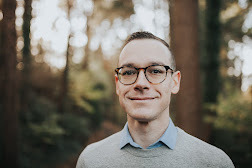 Many of the team members had grown up in church and/or attended prominent Christian schools, yet still remained frustrated and confused: how does someone actually live out this kingdom-of-God stuff, not just hear it and memorize it and nod in assent? They also admitted that the reason they don't ask about this sort of stuff is that it feels like they could be judged for it, they've been scolded in the past for sharing doubts or questioning God, or it's simply not expected from them by the adults in their lives. Yet when given the opportunity to share in a genuinely safe place where a practical theology could be worked out, the teens opened up eagerly. Providing an environment of love and belonging means students can share their doubts and questions and foster a lasting faith, one that goes beyond the Christian talking-point answers. 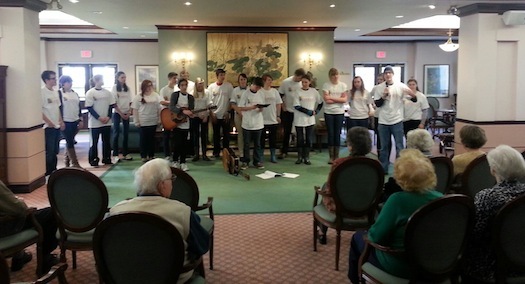 Teens love to serve when given the opportunity and expectation: There were plenty of times the team served the people around them--both strangers and on the team--without being asked or told. I recall walking into the kitchen after a large breakfast and seeing half a dozen students busily scrubbing dishes and putting away food supplies. None of the adult leaders really asked them to do it. They had fallen into a joyful routine of service. These are the same teens who probably complain about doing chores or homework, yet they were the ones scrubbing dishes and picking up garbage on the streets of James Bay, all with a smile. I think serving in community is far more life-giving than serving alone; perhaps the phrase missional community has more depth and merit than simply being a Christian buzzword. Listening is central to discipleship. Often our concept of discipleship in the North American church has to do with programs, Bible studies, and teaching. We bestow the right doctrine, theology, or lesson plan upon the learner, giving them more information and data about God. Yet some of the most life-changing moments in discipleship happen when we are listening, not speaking. We must listen to the stories that disciples are sharing, discerning their hearts and desires through their words. We must listen to the quiet voice of the Spirit as He stirs inside of us. It's much easier to tell someone quick-fix answers; it's far more difficult and life-changing to listen and pace alongside someone in their spiritual journey. The Spirit's Call. By the end of the week, at least two team members had responded to the stirring of the Holy Spirit to pursue full-time ministry. This wasn't some emotional camp-high moment or pastoral manipulation on my part; this was simply the Spirit speaking and young people listening and obeying. I had a whole new revelation about the concept of vocational calling: there is a difference between being and doing when it comes to God's call. Being is God's calling for our identity and vocation; doing is God's leading towards a specific direction/action/role for this particular moment in history. This is Ephesians 2:10 stuff: you are God's workmanship (being) created in Christ Jesus for good works (doing). I am called to be a pastor to the emerging generation, no matter where I go (being); I am called to be the pastor of student ministries at North Langley Community Church for this season, until God calls me elsewhere (doing). I could write a whole blog post--or a book!--about the concept of the call, and it was an honor to be a part of God's leading in these young leaders' lives. I'm not ashamed. The Haynes are not ashamed. The Beacon Communities core team members are not ashamed. The twenty people from NLCC who went to James Bay are not ashamed. We know Jesus and believe He's invited us to be on mission with Him. I'm praying this experience hasn't been a five-day missions trip, but a launching pad for a lifetime of missional living. What an encouragement to read this Joel! I can't wait to see what God unfolds for his glory in the lives of your students. Truly it was an honour to be served by this team. I am grateful!